Our family has been involved in the hearing aid business since the 60’s and we’ve been perfecting our direct mail strategies for over a decade. 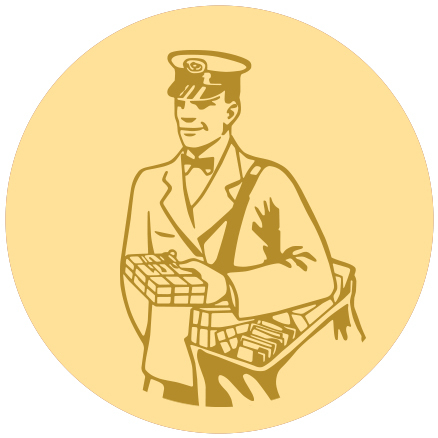 With over a decade in direct marketing experience we have some favorite ad campaigns that always deliver. However, we always customize everything to each of our clients. 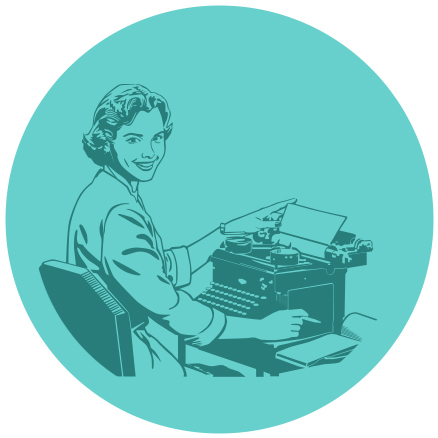 The effective marketing concept may be similar but everything else will be tailored to you and your business. No hidden fees – everything is included. That’s right, we don’t charge for extras. Need something customized or changed to fit your specific business, no problem. We will analyze your market and your competition. Then, outline a customized marketing plan designed to reach the most hearing aid prospects in your area. 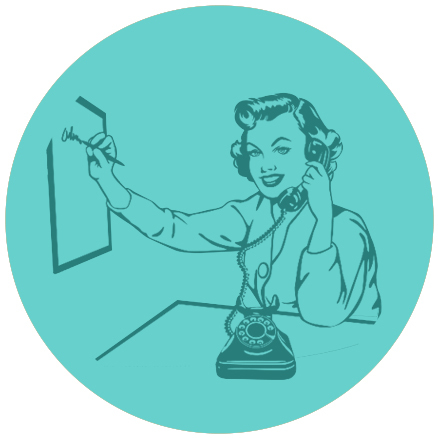 We will educate your staff on proven methods when handling phone calls and setting appointments. 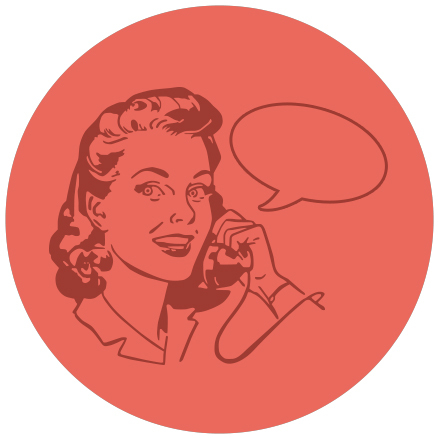 In the hearing aid business every call is an important call. We want to help you make the most of every opportunity. 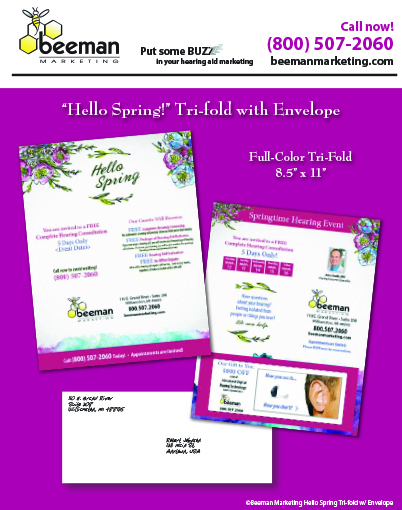 We execute the perfect design, ad content, and direct mailers to reach your future customers ON TIME. We’ll collect detailed analytics by having one of our call analysts personally listen to every call, while building a comprehensive report. 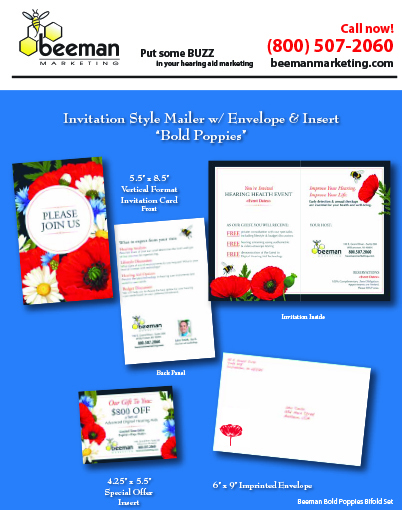 We will then go over the reports with you and offer suggestions for maximizing your direct mail campaigns.. 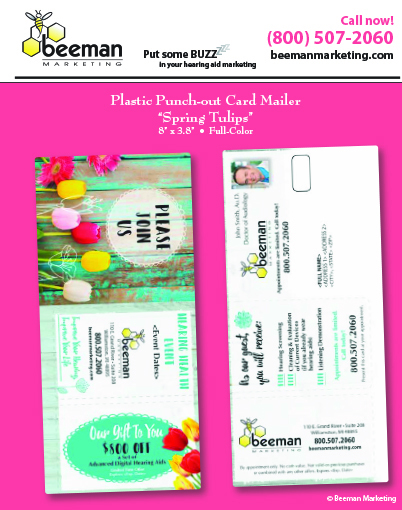 Ask your Beeman consultant for the most effective direct mail piece for your practice. Happy Easter weekend! Hopefully there are lots of Chocolate Bunnies and appointments in your future!